Add more fun to your trampoline with a GeeTramp® basketball set! Slam dunk the included ball into the spring action ring with style. This basketball kit designed to fit most trampolines and includes a mounting pole that's designed to clamp on to the existing leg and net pole. If you're not sure if this will work for your trampoline, contact us. 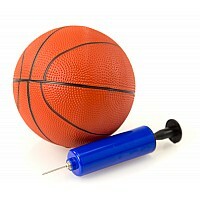 If you have a GeeTramp® Force or Curve then the best basketball set is linked below. 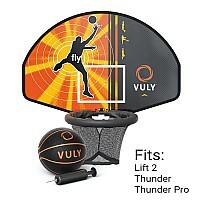 Note: this basketball set will not fit on any Vuly trampoline.